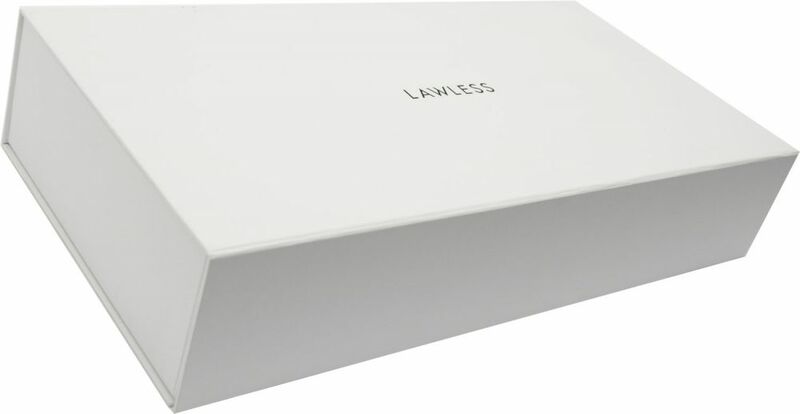 The Lawless Company creates beautiful cosmetics with a strong emphasis on a commitment to using natural ingredients. Owner Annie Lawless wanted a clean-looking presentation piece to introduce and display her new lip color line in stores with impact. Americhip delivered a beautiful, eye-catching presentation box that not only displays eight full product samples of soft matte liquid lipsticks, it also lets Annie Lawless speak directly to her audience. When a company’s founder remains the passionate voice of the brand, there’s no better medium than Americhip’s Video Packaging to amplify that voice. 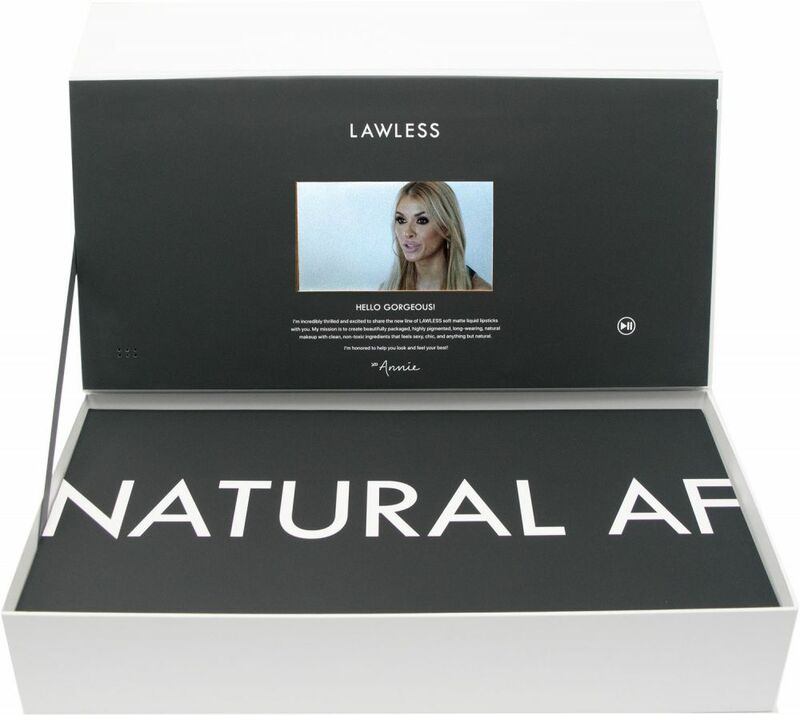 The dramatic all white 30” x 7” display box with soft-touch finish opens to reveal our 7” video screen on which Annie Lawless can be seen in HD quality extolling the virtues of her lipsticks and her company’s dedication to creating beauty products using only natural, healthy ingredients. This beautifully designed video launch kit speaks to the culture of this business—only the best is good enough.